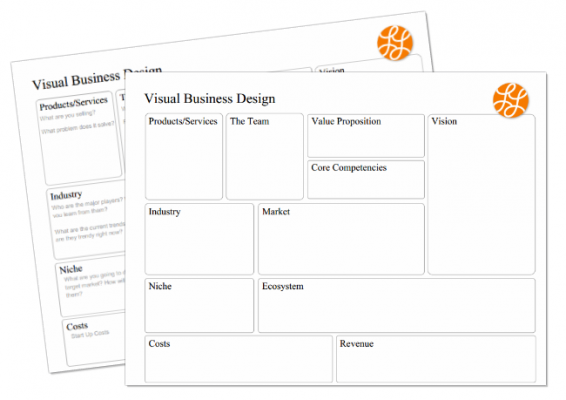 If you’re a visual learner….like so many creative people are….it helps to actually see all the pieces of your business together on one page. If you’re a linear thinker…like so many businessy types are….it’s reassuring to have a concise checklist of everything you need to consider when designing your business. This combines the best of both worlds! You can print out as many as you want. There’s a blank one and there’s one with prompts to let you know what kind of information to put in each section. You can go crazy with colored pens. Mess it up and start over. Change your mind about something and cathartically tear up the old model. Have a few printed poster size and glue pictures and sticky notes one it (Hint: I totally do this at my business design retreats). Grab it, print a bunch of them and have fun. Happy business designing! 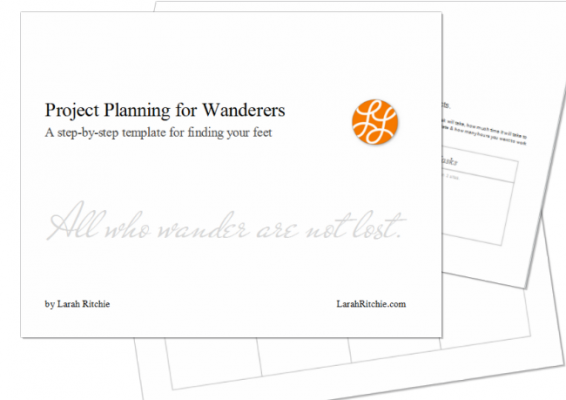 Project Planning for Wanderers: A step-by-step template for finding your feet. Say this 5 times fast: Why do people avoid planning like the plague? Maybe you think it’s gonna be boring or hard or overwhelming or just plain awful. If so, you’re 100% wrong because it’s so not any of those things! Whether you’re planning for next quarter, a new product launch or your own wedding….the process is simple and energizing and adrenaline pumping. It’s also the opposite of overwhelming, because just the act of planning clears away the fog to reveal the path that was right in front of you all along. This is a bare bone basic planning template or workbook (whichever word you like). It’ll walk you through the process that, once you learn it, you’ll find yourself using over and over and over again. Get the Action-Packed BrainyFeet Manifesto. This, my original manifesto is jam packed full of 10 fantastic, wall-worthy posters and 42 action steps to take right away to start moving toward your well-blended life. Note: I will not rebrand this ebook. It’s just way too fun and funky the way it is. With that said, it may not always be available here. So, snag yours while the gettins’ good. Your right idea is closer than you think. The struggle to catch a fleeting idea takes a toll. It challenges your mind, your emotions, your health and your relationships. It can even make you question your intelligence and worth. If you complete the exercise in this workbook, Iknow it will spark thoughts and connections you haven’t considered yet. It will give you the breathing room you need to find the thing you’re searching for. You can’t have a well-blended life if your goals for your family and your goals for your business are pulling you in different directions. 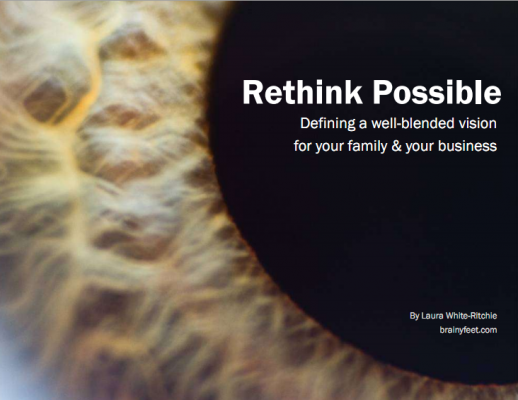 This workbook will walk you through the process of creating a well-blended vision for your business and your family. This is such important stuff that it’s the very first workbook I created when I took my business online. You’ll even see that it still has the old spelling of my name and mentions programs I don’t offer anymore. But, still…the information is important. So, I want you to have it. Fair warning, this one heckuva meaty download. You won’t get through the process in an hour or even a day. If you get stuck in the middle, feel free to drop me an email or find me on Skype. All my current contact info is at the bottom of every page on this site.